A very talented field worker and bird ringer Matti Suopajärvi carried out the planning and capturing of the crane in the field. In addition, Jouko Kärkkäinen, Kimmo Palmgren, Olli-Pekka Karlin and Jouni Ylipekkala are commended for their great help in the field. 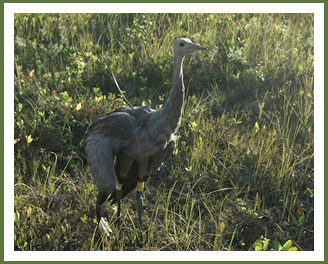 As the crane captured turned out to be a female, she was named after Matti’s spouse as “Auli”. 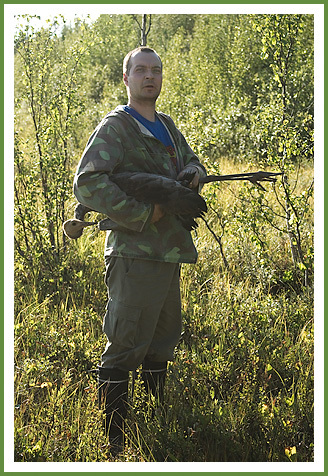 In late August Auli-crane together with her family moved to forage on cultivated fields in Tervola-municipality, Northern-Finland and stayed there for nearly four weeks. In the middle of September a flock of approximately 700 individual cranes were gathered at the same site prior to migration. A local bird watcher Pentti Rauhala discovered Auli-crane in Tervola on 23 September and according to the GPS fix she remained there on the following day as well. On 25 September Auli-crane, at last, commenced migration. The progress of the trip can be followed via the link below.